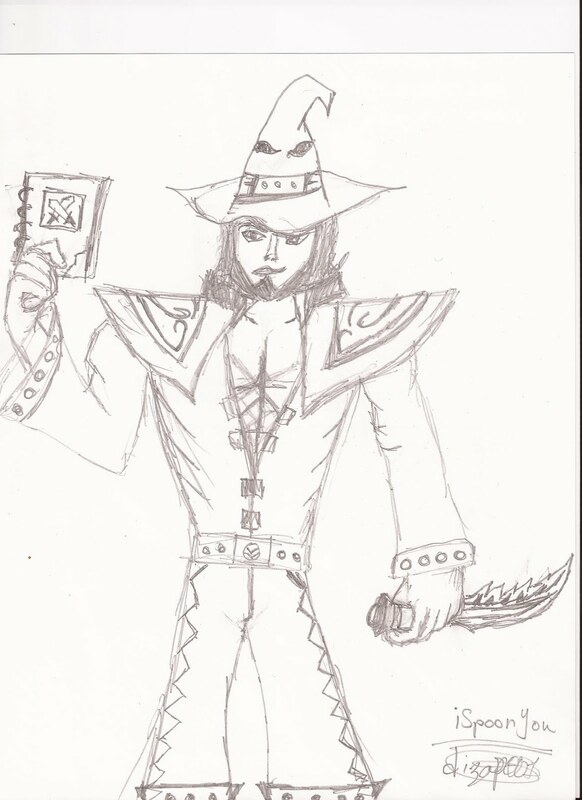 Hey there Followers, i have drawn an Twisted fate wearing a Rabadon's deathcap, Guinsoo's Rage blade and Will of the ancients. hope you like it. No Sunfire Capes to make him sparkle even more? I love it. :D COLOR HIM IN! That hat looks familiar. Doesnt it look like the hat from harry potter? You gods that made me man, and sway in love. nice drawing. What is he holding in his hand? a notebook?